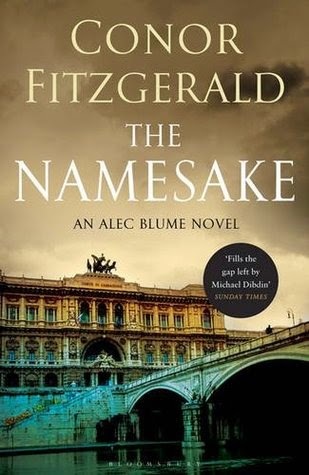 Irish writer Conor Fitzgerald is best known for his police procedurals set in Rome featuring Alec Blume, an American-born commissario (Chief Inspector) in the Italian police. Fitzgerald's debut thriller The Dogs Of Rome (2010) introduces the Blume character as the foreigner, outsider and constant observer - a cynical maverick whose understanding of the socio-political framework of Italy is at the centre of his detective prowess. Blume is called on to investigate the killing of an animal rights activist. The victim is the husband of an important politician, and Blume is reminded that even a murder inquiry has to follow the lines of political convenience. Born in Cambridge, Fitzgerald has resided in Italy since 1989 and lives in Rome with his family. He has collaborated in the translation and annotation of “Scritti Italiani”, lectures and essays in Italian written by James Joyce while in Trieste and Rome. In 1992 he began a daily English and French-language journal on Italian political and economic affairs. In 2001, he co-founded a translation agency specialising in institutional and financial translations. More recently, he has taught translation and interpreting at the Scuola Superiore per i Traduttori e Interpreti in Ostia.